Posted on 13. Oct, 2011 by Corey in All, Atlanta. 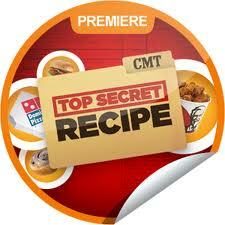 I ask you all to please watch or DVR a TV show on every Friday night on CMT. It is called Top Secret Recipe, and I have had the privilege of working on it for several weeks when my schedule away from the Braves allows. I don’t want to give to many details out because I want you to watch the show, and also I signed papers saying I wouldn’t talk about it. I promise it is fun and you will enjoy. Hope to talk more about it on here after it is done. For now, please check out the website and enjoy the show!